2012 has been such a great year here in blogland. I've met so many new friends and learned so much! to spread some Christmas cheer? mercury glass looking Christmas tree? Is that a "yes" that I hear? Then let's make this easy. letting me know that you are. I will draw a winner on Friday, December 9, 2012. Limited to US & Canada entrants only. has a black border around it? I cant tell you why you have the black border .. but I can tell you that I love the little tree. 2012 has been a great year!!!! I don't see the black border! The tree is just beautiful...what a wonderful giveaway, Gina! Count me in, Gina! Love that little tree! And, nope, no black border here either. Thanks for the giveaway! Love the little tree!!!!!!!!!! What a sweet gift for someone. Love the tree! Thanks for a chance to win. If you'd like, come enter my giveaway for 2 bottle brush trees I made. Have a wonderful Christmas! Hey Gina! I'd love to win the tree! The tree is beautiful. I follow you. I see a black border around your pictures. I see your signature in black with a gray shadow.....but I have no idea why, sorry. I am a follower and I love your blog, Gina. HI Gina! What a beautiful little tree! I'm a follower and would love for you to put my tiny name in the hat. LOVE the mercury tree! Signed me up! :) Happy Holiday's Ya'll! oh count me in! thanks!! This is darling! I have two mercury glass trees and although I am finished decorating I have one area I am saving for them and some silver houses. For the life of me I can not find that container. Will get a small ladder and check up higher tomorrow. I love following your sweet blog but I need not be greedy. Hopefully I will find mine and let others have the chance of winning your wonderful give away. I do see the black border, Gina, but I can't tell you why it's there. Sorry! Yes, please enter me in your giveaway and I'm already a follower. I love the mercury glass tree. 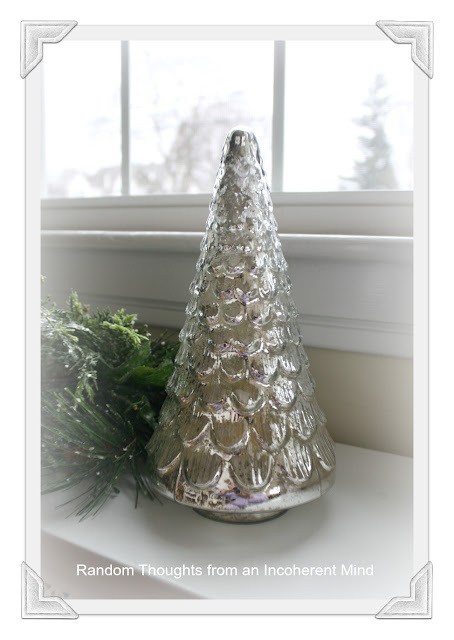 I am packing my faux mercury glass pumpkin today, and starting my Christmas decorating. 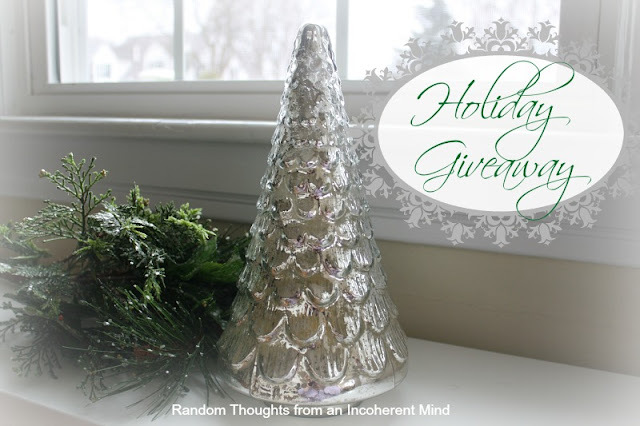 I love all things mercury glass, this is a great giveaway Gina. I am a follower you know. Oh, yes please! That little tree is so cute. I'm definitely a follower. Thanks for the give-away! I don't see it either and so sweet of you to offer this sweet giveaway. Great looking tree and would look perfect on my mantel. Thought about you yesterday and your Joy to the World Vignette. Pretty little tree! :) What a sweet giveaway! Love your little baby cakes in the previous post! They are so cute and look so tasty! Gina, your tree is lovely! It will be a treasure for the winner! 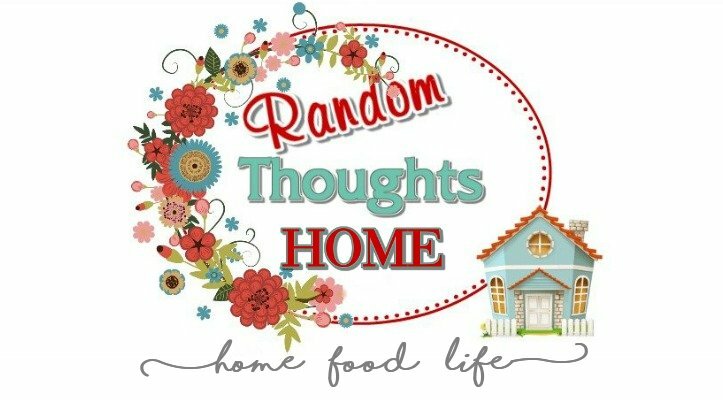 How special to host such a lovely giveaway! I love the tree and it is so nice of you to have this fun giveaway. I always enjoy my visits here. What a fantastic giveaway!! You know I have not one piece of mercury and would love the chance to win this. What a beautiful giveaway! Thank you for a chance to enter! Forgot to say, I don't see a black border on your signature. I don't know anymore what I did before blogging. I love it..... there I said it. My new friends are wonderful too. I love that tree! It is somewhat similar to the one the SDT guy broke a week or so ago at my house! I am a follower too and we share the same name! Hi Gina, I'm a follower and I'd love to win that tree! BTW, your signature looks raised or has a shadow effect, it doesn't look bad at all, looks nice. Hi Gina! I am on my phone...snuggling with a sleeping Holland Grace. Our new grand son arrived a few hours ahead of schedule at 12:51 am...he was supossed to be a scheduled C-section at 1pm today...i don't know how I missed this lovely give a way..
Ohh sorry about the typo's! That mercury tree is so beautiful. I would love to win this. Thanks for the chance. You know I am a follower. Love the tree Gina and wo'uld really like to win it. Im thinking the black border is there because you have set up black borders for all picture/graphics so since your name is a graphic, could that be why?